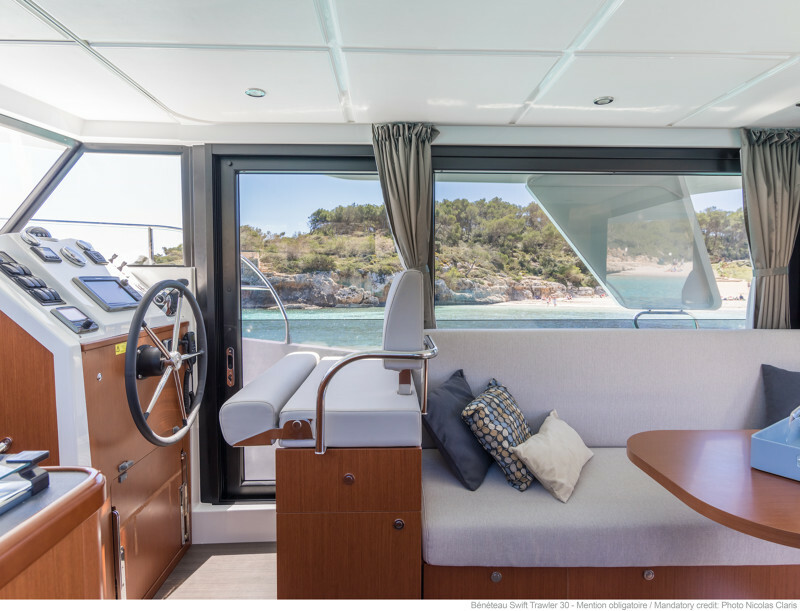 Exuding the pedigree of a range uniting maritime adventure with travelling culture. 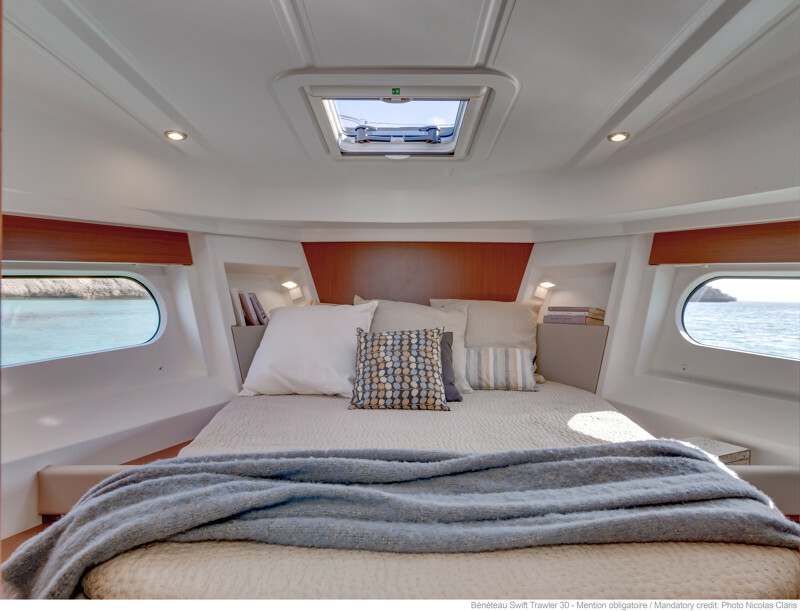 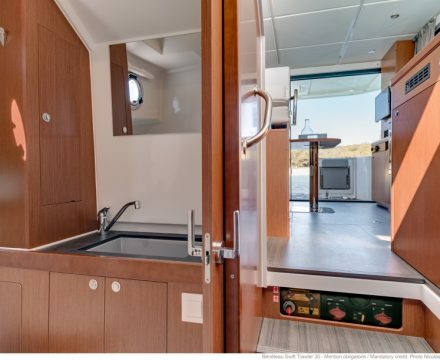 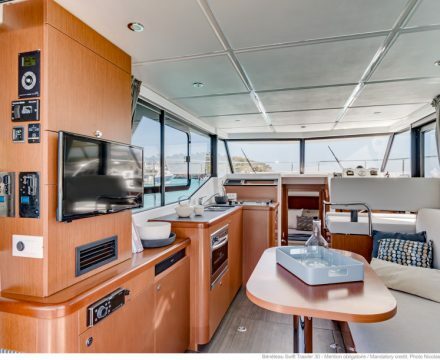 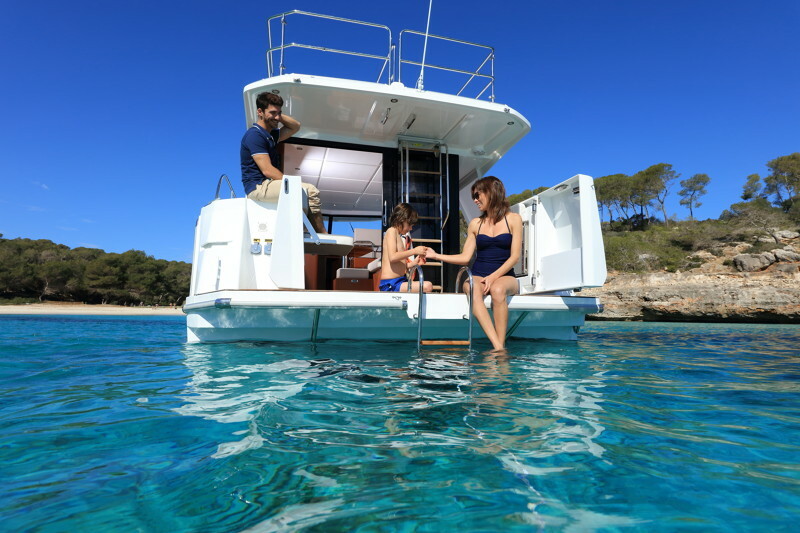 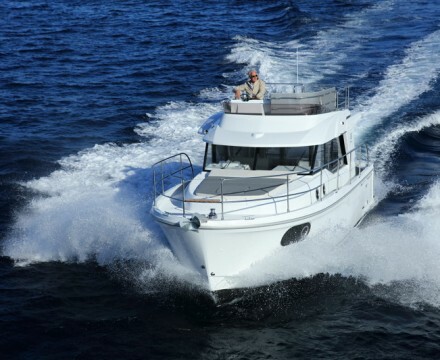 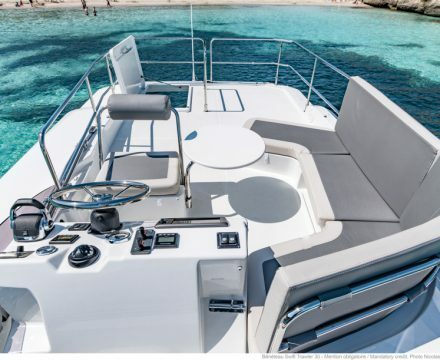 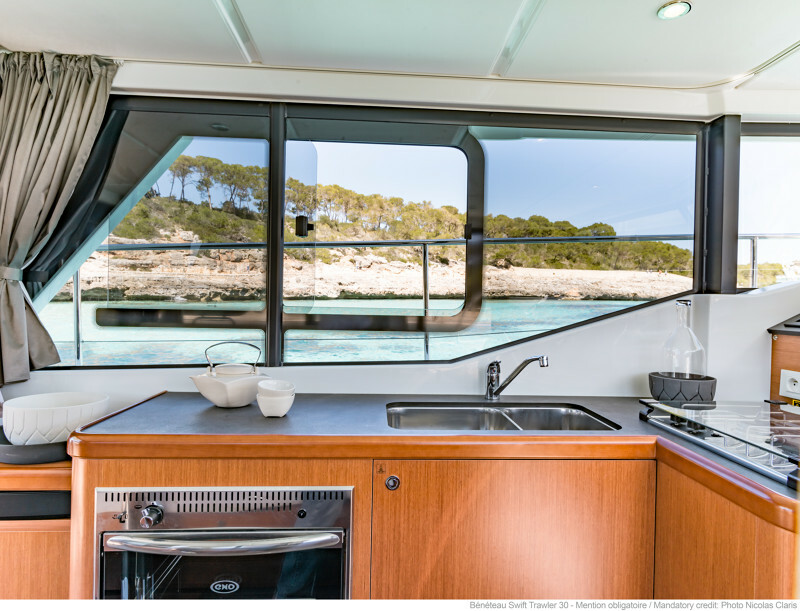 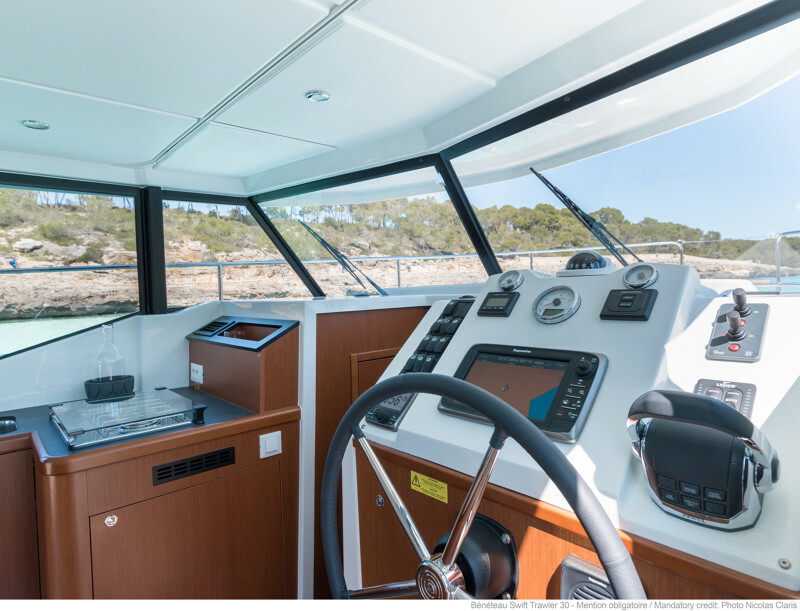 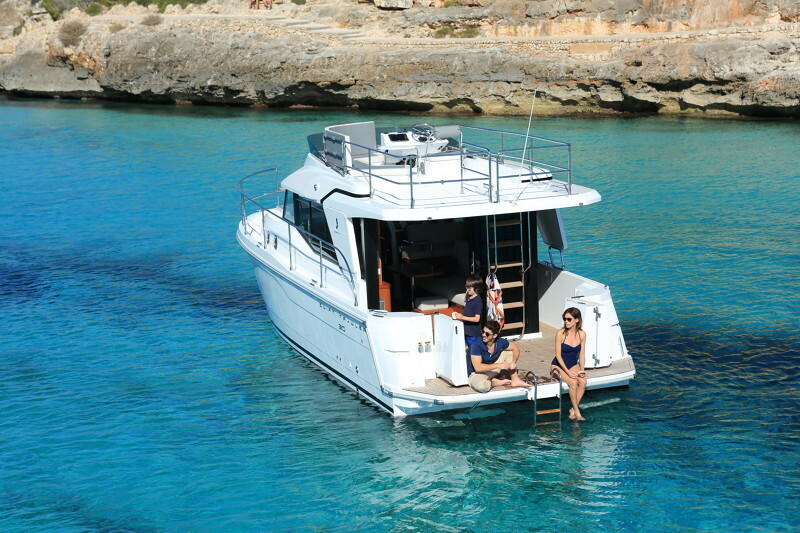 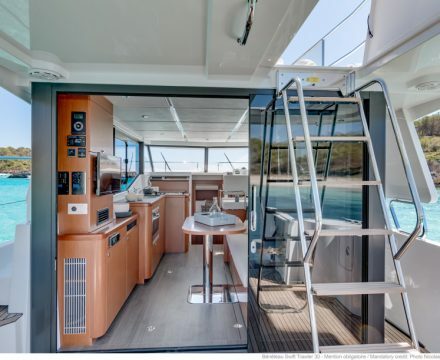 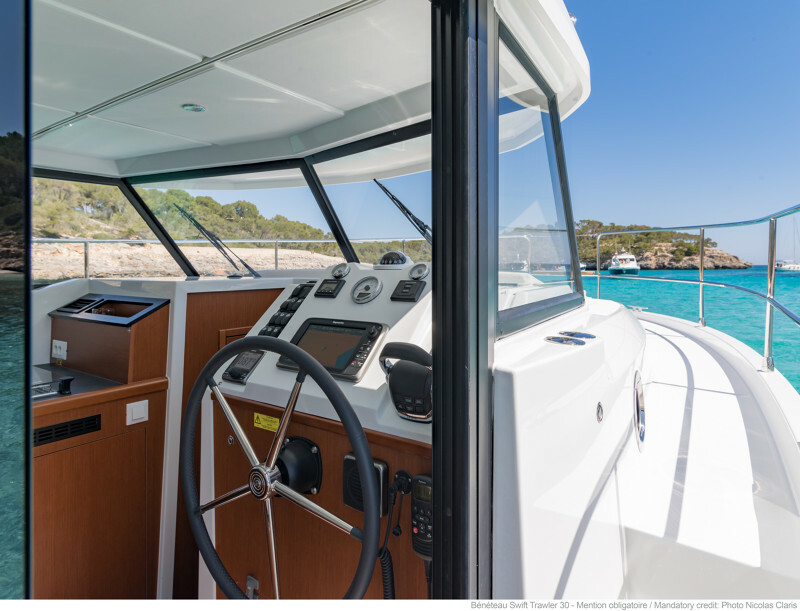 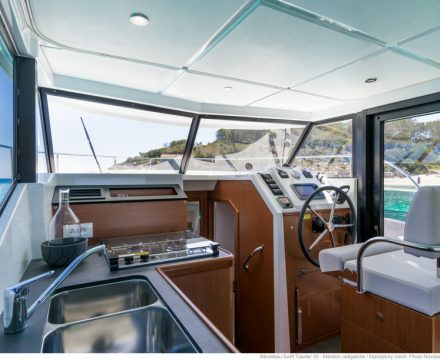 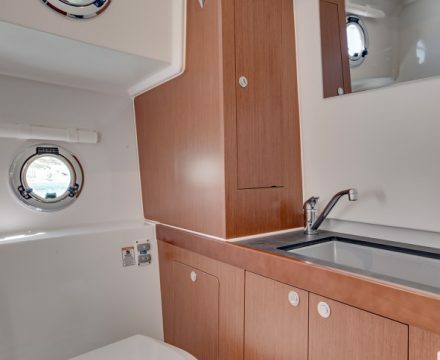 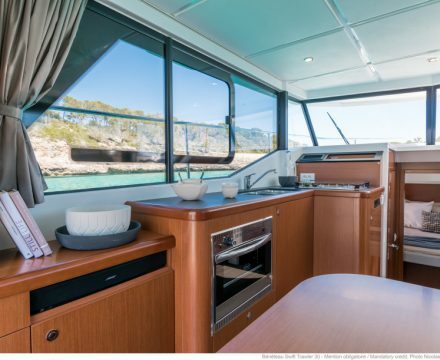 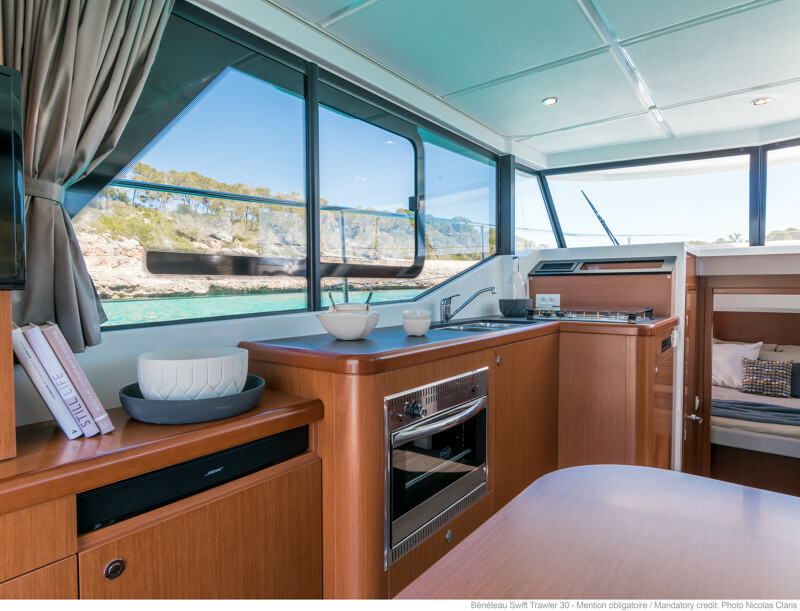 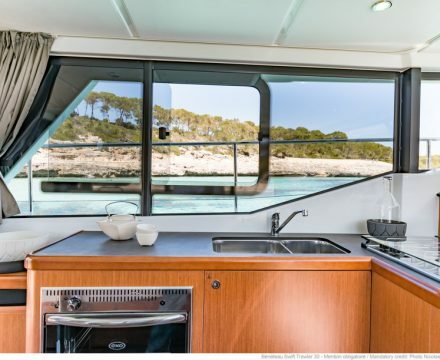 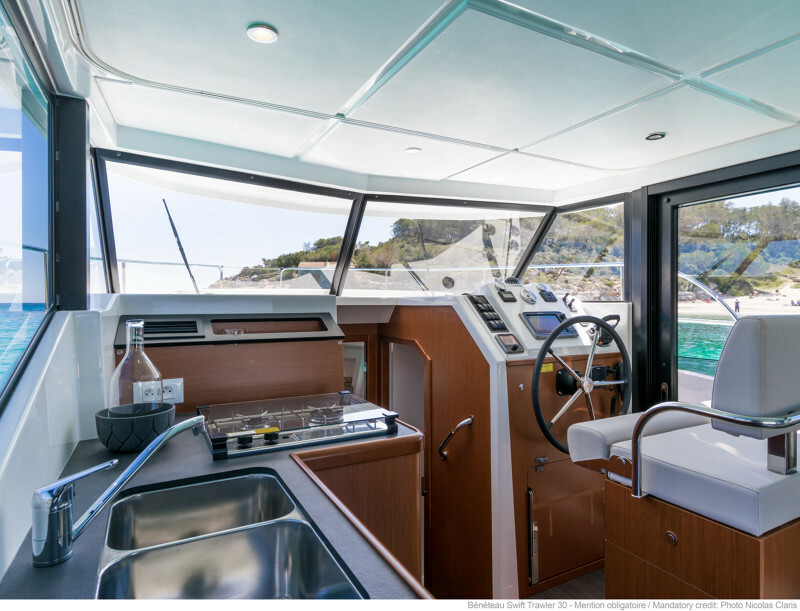 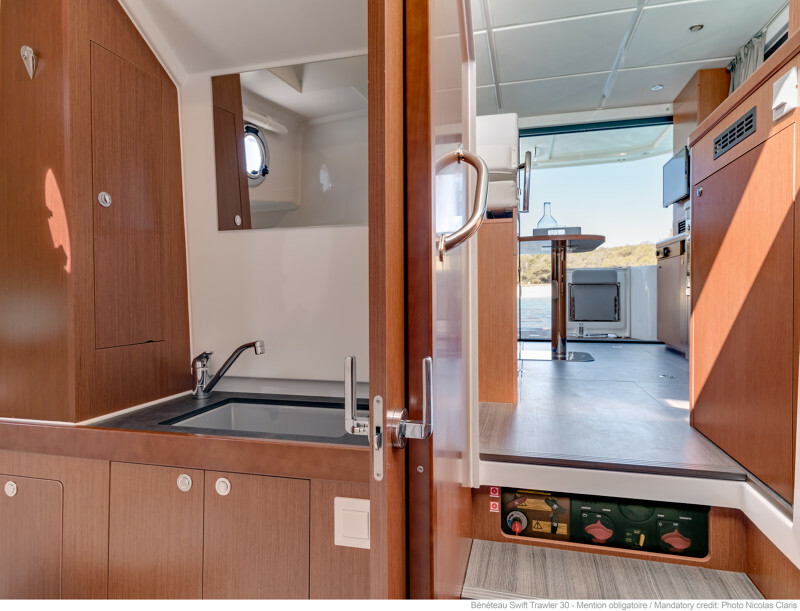 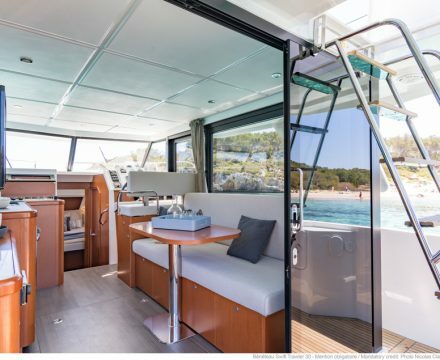 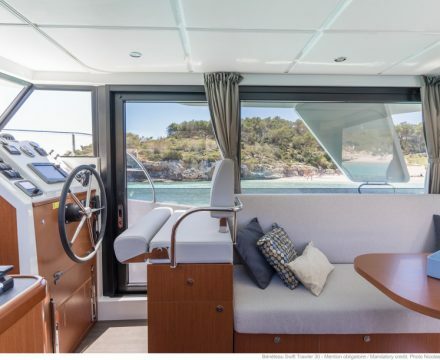 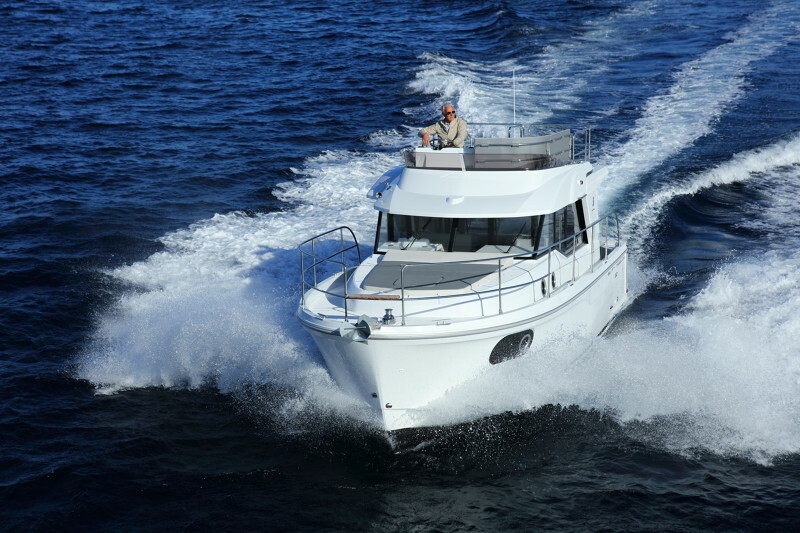 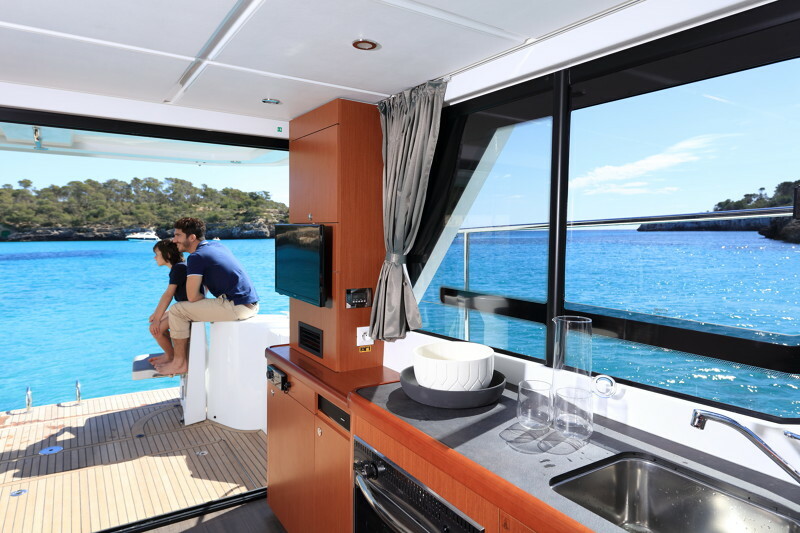 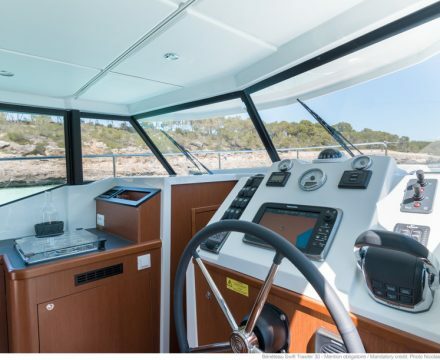 Cut out for the high seas, the Swift Trawler 30 is comfortable and her autonomy and many fittings are reassuring, making life on board much easier. 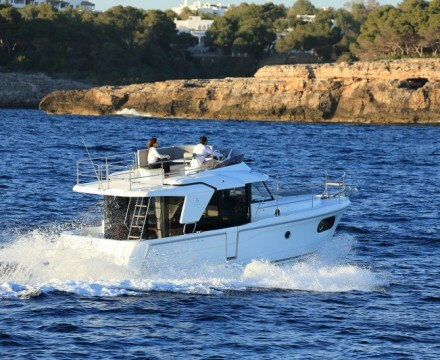 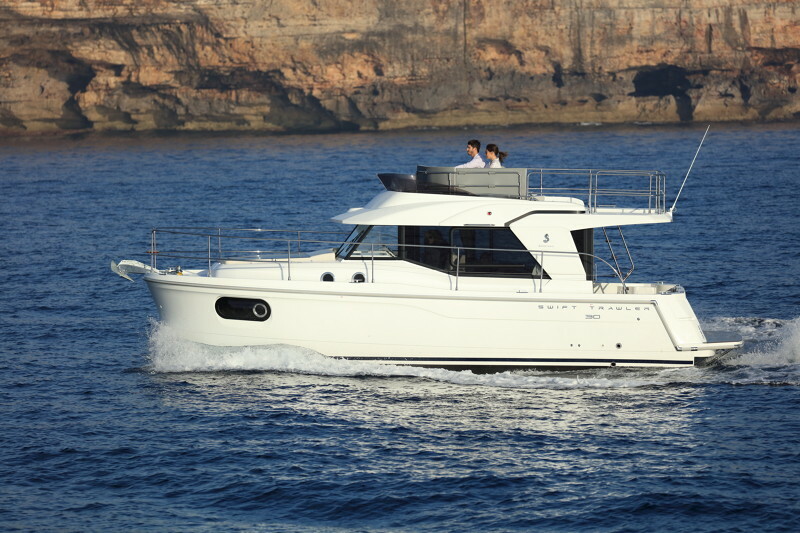 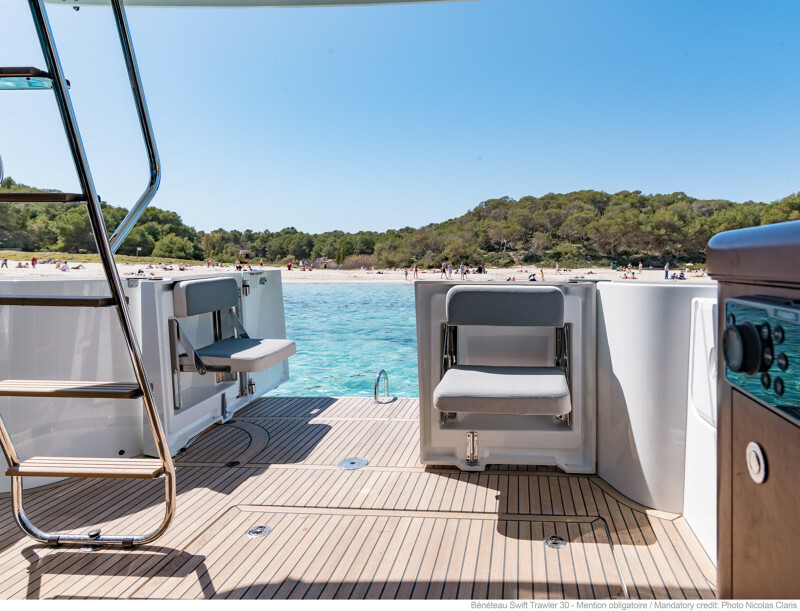 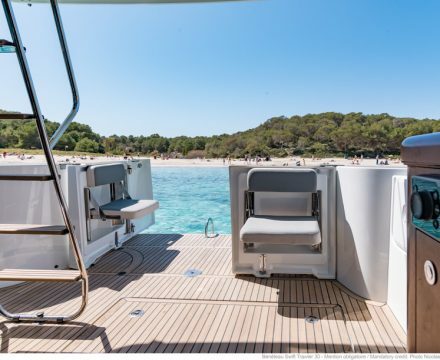 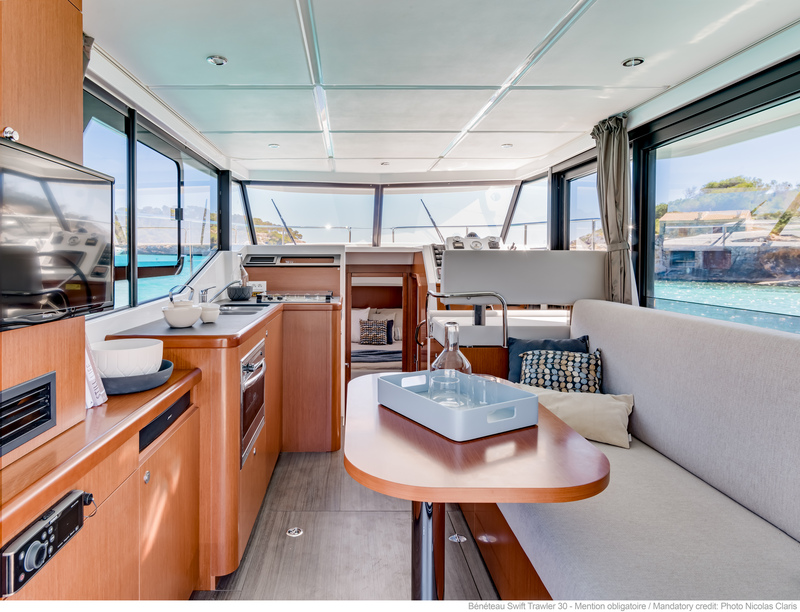 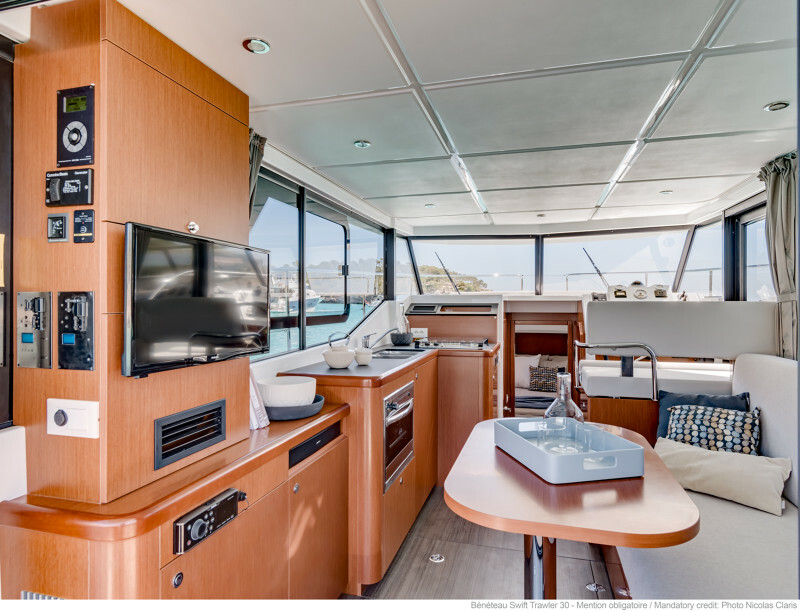 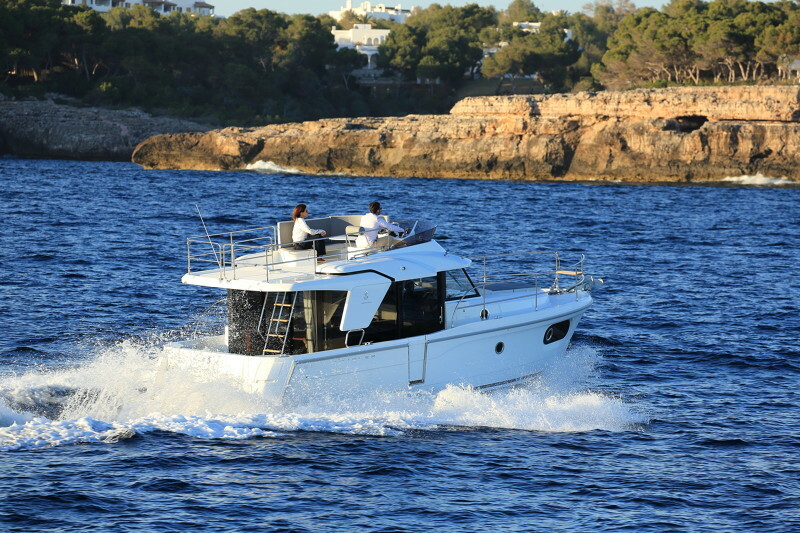 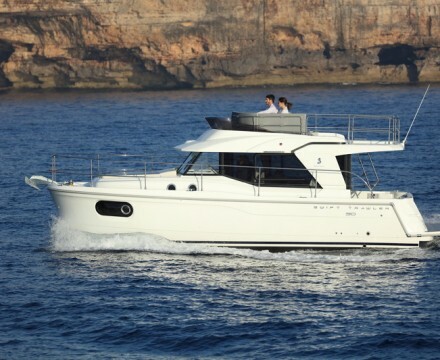 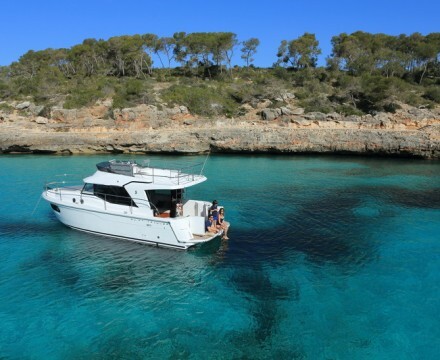 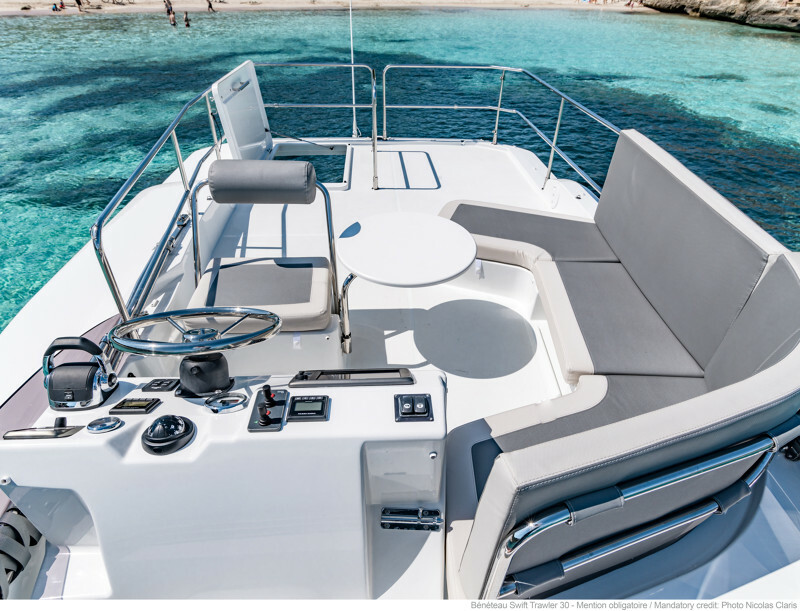 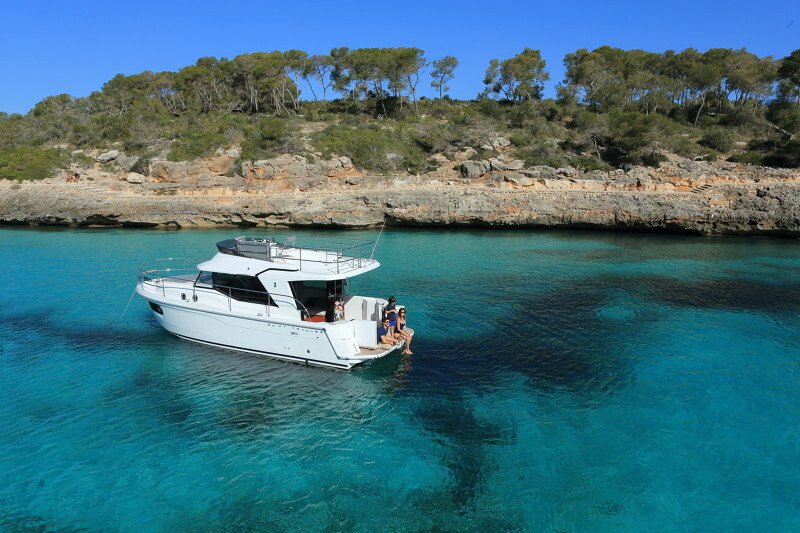 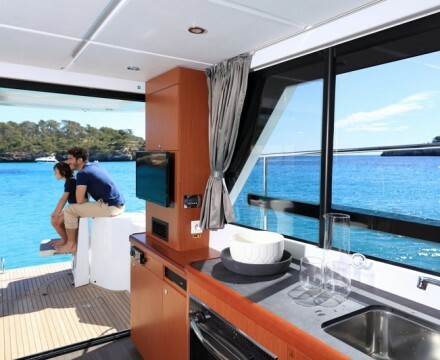 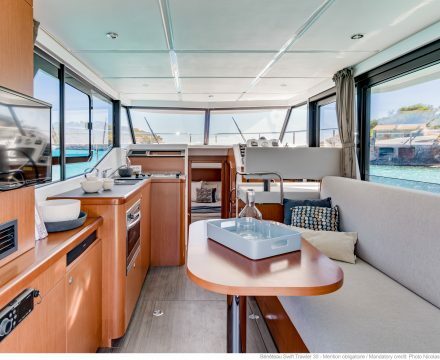 With a clear-cut combination of style and seaworthiness, you will be tempted by the energy performance of this elegant voyager second to none. 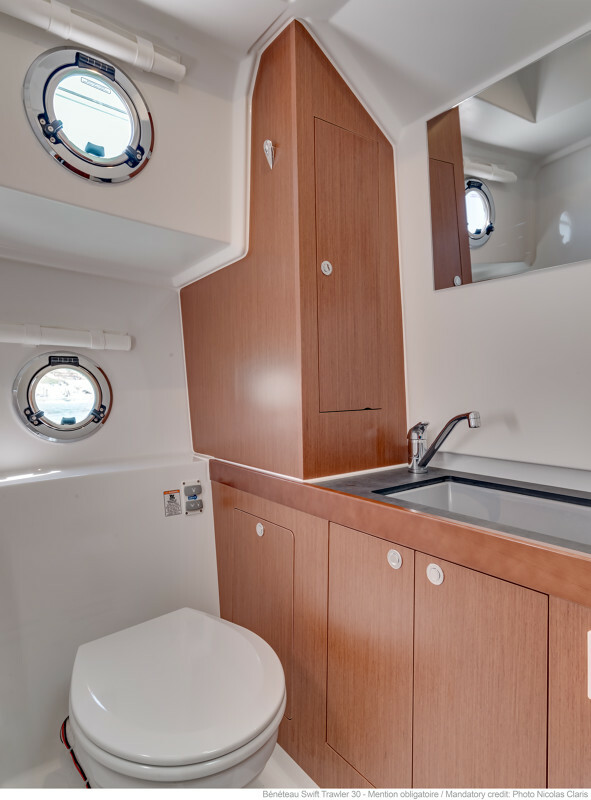 The interior space is optimized reflecting the large open spaces you will be bound to explore. 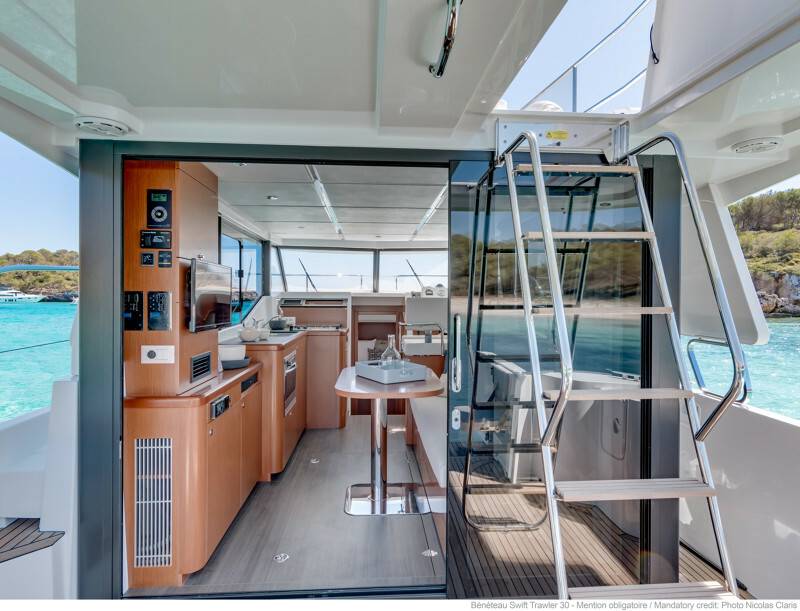 The cockpit opens onto the sea in the form of a terrace, with foldaway seats, a convertible sofa, and a well-designed table sliding beneath the seats to increase the amount of space in this reception area, and suiting all crew configurations.